KOSCIUSKO — A Warsaw man was arrested after touching a minor inappropriately. 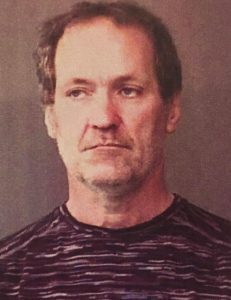 Mark Madell Brunner, 51, 2507 Westside Drive, Warsaw, is being charged with child molesting, a level 1 felony; and child molesting, a level 4 felony. On Jan. 11, an officer with the Kosciusko County Sheriff’s Office responded to a report of child molesting at a local hospital. The officer spoke with a female subject who advised that a female minor was staying at a residence located at 2507 Westside Drive. According to the affidavit of probable cause, the minor said Brunner touched her inappropriately and hurt her. On Jan. 15, the officer spoke with the female subject again and said she was talking with her husband when the minor touched herself and said Brunner touched her like that. The female subject said since Jan. 11, the minor continued to touch herself and continued saying Brunner touched her inappropriately. The minor was taken to a sexual assault center. During the examination, the minor said Brunner hurt her and touched her inappropriately more than one time. Brunner was booked in the Kosciusko County Jail on March 23, with a $50,250 surety and cash bond.